Sheet Metal Fabrication, CNC Precision Machining and Gear Cutting for over 50 years. C-Mac are in business to be a support to other businesses providing unique services utilising Skillful hands, Experience & Knowledge. 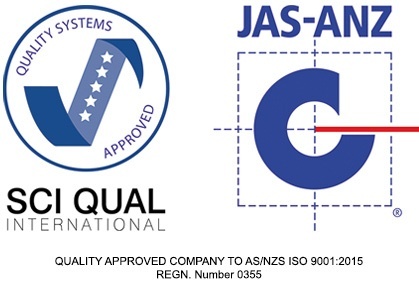 We provide high quality, high value "Innovative solutions" to our Australian and overseas customers. Sustaining jobs and manufacturing in Australia. We cater for one off small run jobs to special project work for many industries. Manufacturing Workers Co-op where workers are the owners. Besides Sheetmetal, Engineering and Maintenance & Design Services, C-Mac manufactures Horticultural & Nursery Equipment, Transformer Oil Filtration Machinery and Materials Handling Products such as bagging machines, conveyor and feeder bins for over 50 years. "I would like to express our gratitude for your help and cooperation for the Crash Lab project we have commissioned at NeuRA (Neuroscience institute Australia), on April 2017. C-MAC team, and especially Mr Steve Grlyak, has been really proactive and flexible in the approach to the project, supporting us in all the phase, since tender phase, along with local manufacturing and sourcing; until on-site installation. Because of the satisfactory cooperation in this project, we consider C-MAC a key engineering partner for our future projects in Australia. Shall you need additional information on this project, do not hesitate to contact us"
The Western Sydney Awards for Business Excellence (WSABE) is an Annual Awards founded by Parramatta Chamber of Commerce to recognise outstanding business leaders and organisations and to showcase small, medium and large businesses for their excellence in innovation, business ethics, marketing, etc.